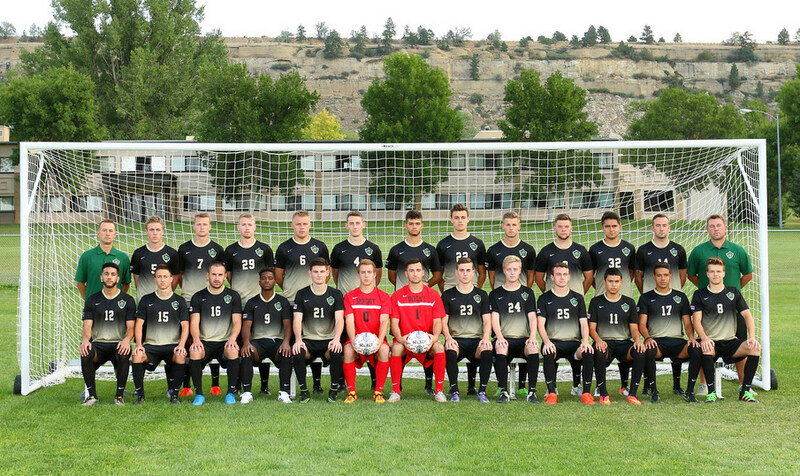 The Rocky Mountain College men’s soccer team started out conference play with three big wins. In the first game, the team beat the College of Idaho 2-1. Then the team traveled to Oregon where they beat Multnomah University 5-1 and defeated Walla Walla University 8-0. Since head coach Richard Duffy came to the program in 2001, the men’s soccer program has been getting continuously better. Teasdale said, “The team is becoming better from season to season.” The team made it to the national tournament in Miami, Florida, at the end of last year and placed 7th in the nation. “The goals for this team, as with every season, is to win a National Championship. The longer you coach the more you realize that it is not just about your overall winning percentage. You want to look back and say that you have won a National Championship. Obviously, this can be done by creating smaller goals that will in time turn into the larger goal,” Duffy stated. Junior midfielder Matthew Thomas believes that the team has a good shot at the championship this year. “Our team is strong this year. As a team we pass the ball really well, we have a solid defense that likes to do that,” Thomas said. “I think inexperience was a huge factor to why we didn’t win it all last year. A big part of the team’s success is international recruiting. This year almost half of the players are international students, coming from countries like Scotland, England, Brazil, Germany, and Guatemala. “I like the team a lot, because of the different nationalities and different personalities,” Ben Teasdale said. The team has technically skilled players at every position. “We only lost one starter from last year and we have gained some good additions so hopefully we will improve. We have equal quality all over the eld which is vital. There aren’t really any weak links. We also have players that have the ability to win a game with a moment of brilliance,” Teasdale added. New players who could make an impact include freshman defender Tulio Melo, sophomore defender Luca Wiechers, and freshman midfielder Marco Kummerle. Duffy says that building a team at the beginning of each season is a challenge because there are so many people from different cultures and it is a challenging task to integrate new players into the team. “Team chemistry is always the most important part of a team. I have had teams in the past that had better overall talent but lacked the team chemistry that last year’s team had,” Coach Duffy added. The goal for this season is now set clearly. Duffy wants to build on the success of last year, and return to the NAIA National Tournament. The foundations have been laid, and fans can expect another outstanding season for the men’s soccer teams. The next home games will be October 7th at 3pm against Northwest Christian University and on October 9th at 2:30pm against Corban University.